LOS ANGELES, Sept. 28, 2016 - Carnival Corporation, through its philanthropic arm, Carnival Foundation, is donating $2 million to the Smithsonian Institution's National Museum of African American History & Culture. Eleven years in the making and built at a cost of $540 million, the museum opened Sept. 24 on the National Mall with a dedication ceremony featuring remarks by President Barack Obama and a three-day music and spoken-word festival called "Freedom Sounds: A Community Celebration." In recognition of the gift, NMAAHC has designated Carnival Corporation a Founding Donor of the museum. "The National Museum of African American History & Culture is a celebration of the many contributions African Americans have made to the history, culture and community of the United States," said Linda Coll, executive director of Carnival Foundation. "The organizations that Carnival Corporation supports through Carnival Foundation reflect the great value the company places on diversity and inclusion in the communities that we touch, and we are honored to be a part of this new museum." 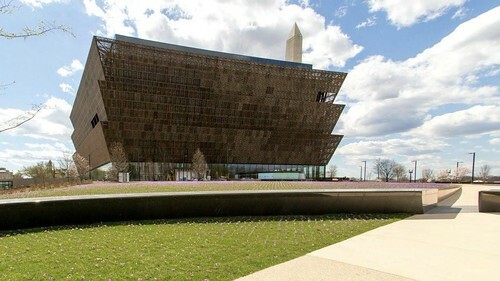 The 390,000-square-foot National Museum of African American History & Culture is located on a 5-acre site adjacent to the Washington Monument. Its 12 inaugural exhibitions feature more than 3,000 objects and cover topics ranging from military and sports history to performing arts and the western and northern migration. Each day of the three-day "Freedom Sounds: A Community Celebration" had a theme: Friday was "Homecoming," Saturday was "Celebration" and Sunday was "Call and Response." The events and concerts highlighted music traditions such as jazz, R&B, gospel, folk, classical, New Orleans brass band, Afro-Latin jazz and hip-hop. The NMAAHC is the only national museum devoted exclusively to the documentation of African American life, history and culture. It was established by Act of Congress in 2003, following decades of efforts to promote and highlight the contributions of African Americans. To date, the museum has collected nearly 40,000 artifacts. Nearly 100,000 individuals have become charter members of the museum. When the NMAAHC opened on Sept. 24, 2016, it became the 19th and newest museum of the Smithsonian Institution. Carnival Foundation oversees the many philanthropic endeavors of Carnival Corporation and its 10 affiliated cruise line brands as well as its employee-driven service group, the "Friends Uniting Neighbors" (F.U.N.) Team. Although Carnival Foundation's contributions are spread to communities where the brands operate, the company primarily focuses on organizations based inSouth Florida, where Carnival Corporation is headquartered. Through monetary and in-kind donations, innovative philanthropic programs, employee fundraisers and hands-on volunteer initiatives, Carnival Foundation and the brands of Carnival Corporation support a variety of organizations. Together, these brands operate 101 ships visiting over 700 ports around the world and totaling 225,000 lower berths with 18 new ships scheduled to be delivered between 2016 and 2022. Carnival Corporation & plc also operates Holland America Princess Alaska Tours, the leading tour companies in Alaska and the Canadian Yukon. Traded on both the New York and London Stock Exchanges, Carnival Corporation & plc is the only group in the world to be included in both the S&P 500 and the FTSE 100 indices.